Dominated by the Iron Lady — that is, the Eiffel Tower — and the golden dome of the Invalides, the 7th Arrondissement of Paris oozes wealth, privilege, and charm. 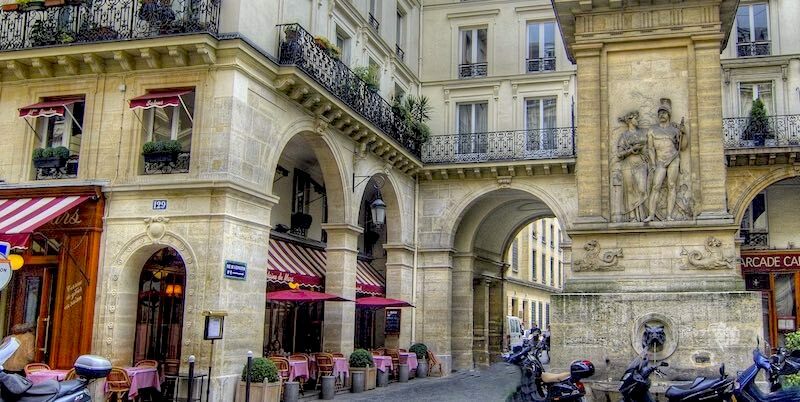 Nestled amongst high-profile monuments are intimate, small streets lined with boulangeries, delis, and fromageries that cater to the well-heeled residents of this upscale quartier. Nothing beats this neighborhood for human-scale, for walkability, for markets, and for great restaurants. The 7th is home to many ministres (departments) of the French government, housed in the hôtel particulars that are found in the eastern end of the arrondissement. Although the 7th holds some of the grand symbols of Paris, look beyond them to discover the secrets of this most loved and admired neighborhood of Paris. As you'll see, there's more to the 7th than the Eiffel Tower. Rue St-Dominique is the spine of the 7th Arrondissement, arcing through the quartier and connecting three of its iconic monuments — from Museée d'Orsay in east, passing by Hotel des Invalides, and ending up at Champ de Mars and the Eiffel Tower in the west. Along its curved length you find the places where local residents shop and eat. As you stroll along Rue St-Dominique you come to wonderful boulangeries and patisseries, clothing boutiques, fruit & vegetable vendors, and all the other things that Parisian need on a daily basis. (Like hair salons and architects!) 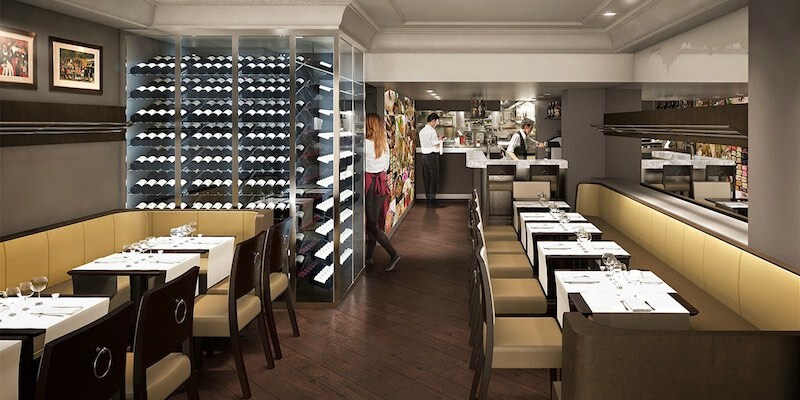 You also walk past a string of good restaurants and bistros, some of them under the command of Chef Christian Constant — Cafe Constant, Les Cocottes, and Violon d'Ingres. This monumental 17th-century complex was commissioned by Louis XIV to offer accommodation and hospital care to the veterans of France's wars. After Napoleon's abdication in 1815, 5,000 veterans of his Grande Armée sought refuge here. Later, in 1840, Napoleon himself moved into the Invalides when his body was relocated to the domed church, called, appropriately, Église du Dome. Today, the building houses military-themed exhibitions, including the Musée de l'Armée. This museum holds one of the largest collections of military objets in the world. Swords, guns, and armour are mixed with models and maps that trace the evolution of warfare from prehistoric times to World War II. Especially prominent are souvenirs from Napoleon's era, but you'll also find displays from medieval, Renaissance and Asian militia. Entrance to is free with the Paris Insiders Pass. A great place for a stroll is along the Champ de Mars (literally translated as the Field of Mars) and the small streets that radiate from it. Notice the to-die-for elegant apartments that look upon the park… and the Eiffel Tower. Stretching from the École Militaire to the Eiffel Tower, you can almost imagine the battles that took place on this field when Roman Legions defeated the Parissi in 52 BC, or in 886 when the Parisians beat back the invading Vikings. Jump forward to 1790 when Charles Talleyrand, popular French bishop, organized one of the first Bastille celebrations here. Champs de Mars used to be a military parade ground used by the military school that abuts it. But in the more modern era it's been a place of celebration, public gatherings, and international expositions in 1867, 1878, 1889, 1900, and 1937. 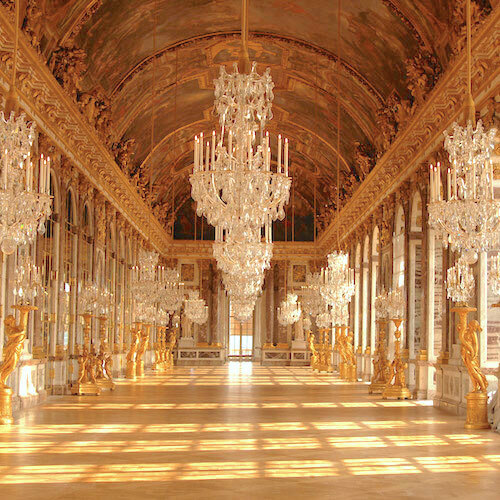 Home of the lower house of the French parliament, it was built in 1728 for the Duchess of Bourbon, Louise Françoise de Bourbon, the eldest daughter of Louis XIV. Eventually, a Greek Revival facade was built on the side facing the Seine to mirror the opulence of Église de La Madeleine across the river. It is now where the Assemblée Nationale meets. Most of the tours of the building are arranged in advance by the deuptés, but you can also request a tour online. 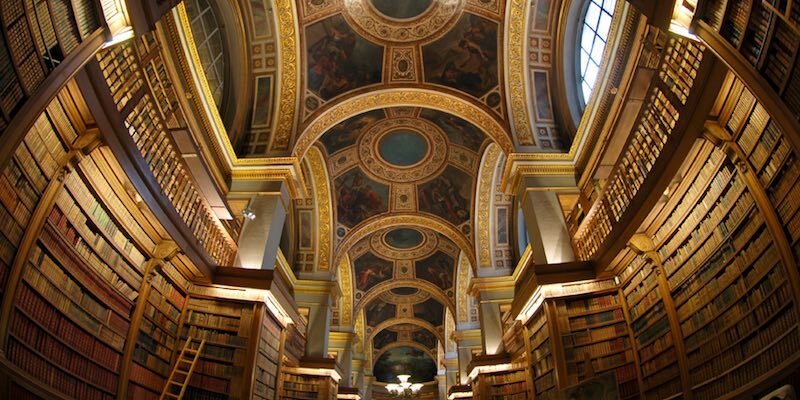 If you do get inside, don't miss Delacroix's masterly History of Civilization painted on the ceiling of the library. 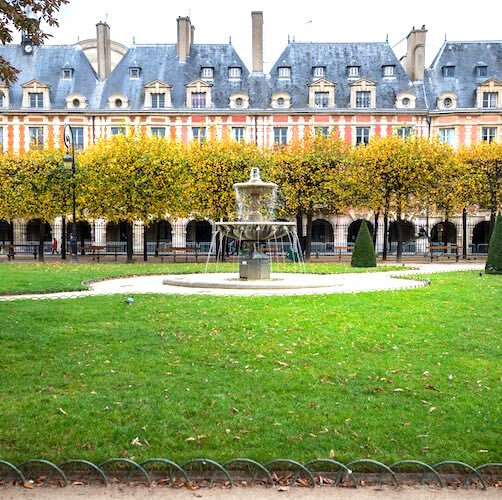 The square, Place du Palais-Bourbon built in 1776, is dominated by the main entrance providing a view of the inner courtyard. 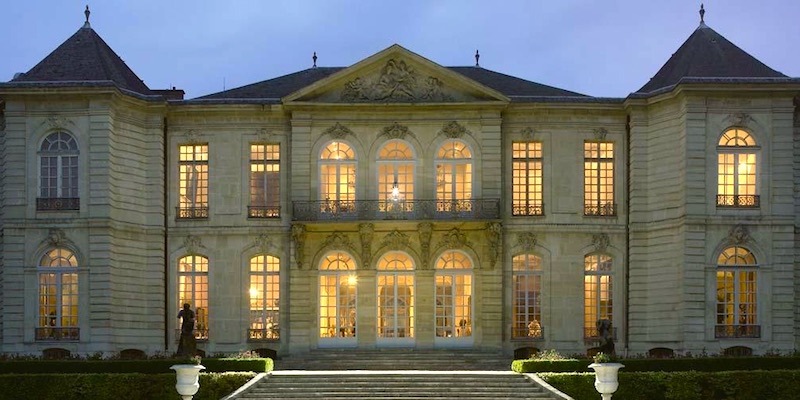 Just east of the Les Invalides, near the Assemblée Nationale's Place du Palais-Bourbon , you'll also find a scattering of elegant 17th- and 18th-century hôtel particulars, including the recently renovated Hôtel de Biron, where Auguste Rodin lived and worked until his death in 1917, and which today houses the Musée Rodin. It's worthwhile to take some time to wander through Rodin's studio and gardens and to ponder his relationship with sculptress Camille Claudel. It's a small museum, so after an hour or so stop for a glass of rosé wine at the charming outdoor cafe. This freestanding fountain, built by Henri Beauvarlet, was once situated in the middle of a bucolic poplar grove. In 1859, when the square it now sits in was built, the poplars went, but the fountain stayed. Notice the fountain's bas-relief of Hygeia, goddess of health, offering a drink to Mars, god of war. While you're there, have lunch or dinner at the bistro bearing the same name. La Fontaine de Mars has been a popular bistro since 1908. This is where the Obamas had a family meal when they visited Paris in 2009. The jewel in Constant's mini-empire, as far as we're concerned, is Le Violon d'Ingres , his Michelin-starred upscale restaurant. It's a long narrow space with the kitchen way at the back. We've gone here for lunch, dinner, and even New Years Eve and it's always been a delight. The atmosphere is convivial and the cooking is superb. In short, a pleasurable time is had for a price surprisingly low for a Michelin restaurant. Constant is known for having been mentor to a number of then-young chefs who 25 years ago created a new, simpler, hearty cuisine in restaurants like La Regalade, Chez Michel, and L'Os a Moelle. The cooking at Le Violon d'Ingres is more elegant than that of his disciples. The restaurant has recently been renovated to make the experience even better. On Rue Cler you can see the best-dressed shoppers in Paris perusing the bounty of the butchers, bakers, poissonniers, fromagers, and wine merchants that line this cobblestone street. 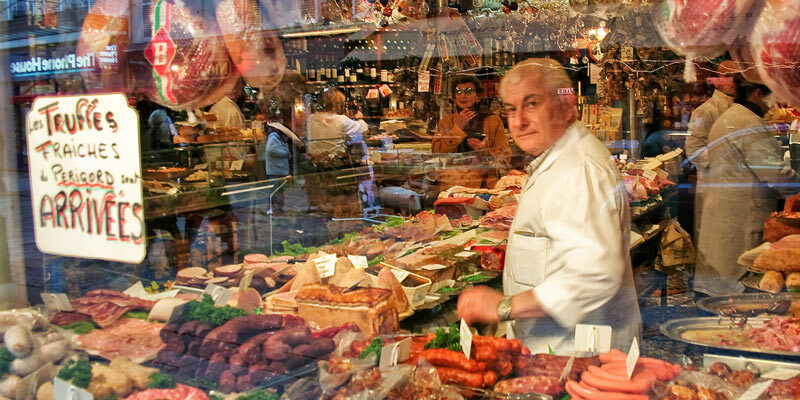 Davoli, La Maison du Jambon, is a feast for your eyes with Parma hams hanging from the ceiling and jolly, rosy-cheeked butchers serving up a selection of mouthwatering sausages and meats. Also on Rue Cler is the very popular Café du Marché, one of the best bargain restaurants in Paris and a personal favorite of ours for lunch. Arrive early if you want to grab a seat then order a confit de canard, le hamburger, or classic roast chicken with the creamiest mashed potatoes you've ever had the pleasure of eating. 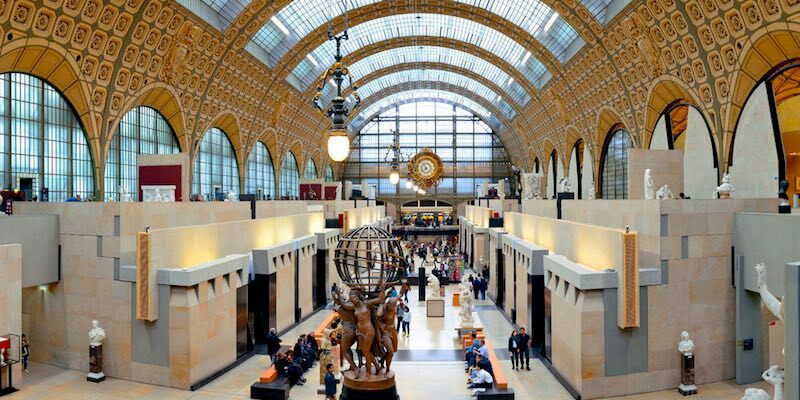 Musée d'Orsay is one of the best museums in Paris, and our personal favorite. Once a magnificent turn-of-the-twentieth-century train station, it was transformed in 1986 into a showcase for 19th-century art and culture. The d'Orsay's collection starts where the Louvre ends at Romanticism and goes up to the birth of modern art, which is found at the Pompidou Center. This the place to get your fill of the Impressionist including Manet, Monet, Van Gogh, Degas, Pissarro, Renoir, Berthe Morisot… the list boggles the mind. Where else but Paris would the sewers be a popular underground attraction? The 1,300 mile network of tunnels was built during the reign of Napoleon III and is one of city planner Baron Haussmann's top achievements. 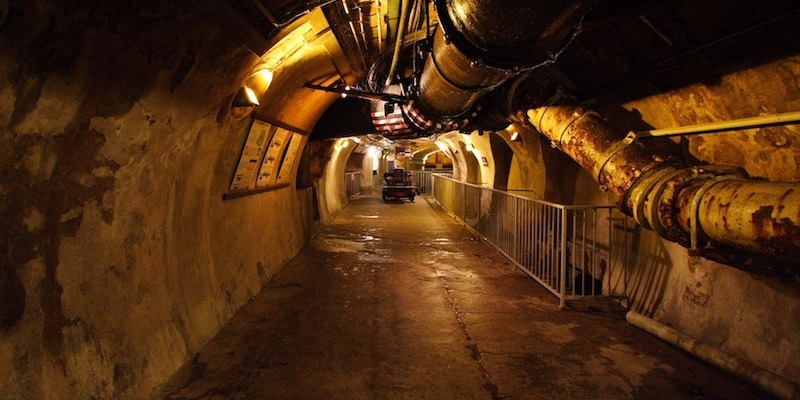 The underground labyrinth that Haussmann built houses outgoing sewage lines and freshwater pipes, and also contain the city's gas lines as well as a pneumatic postal network, a service which only ceased in 1984. You used to be able to take underground boat cruises through the sewers, but a string of bank robberies, using the sewers as their escape route, put a stop to the cruises. Today there are guided walking tours of parts of the sewers. This relative newcomer to the Paris museum scene has been open only since 2006. Here you find outstanding collections of African, Asian, Oceania and native American arts and civilizations. 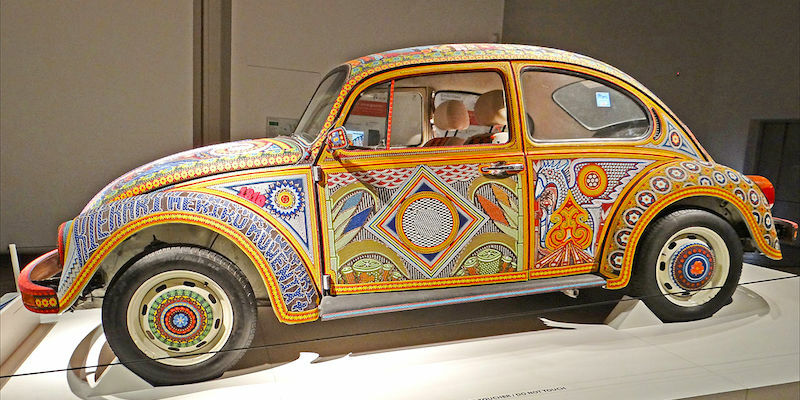 There are always special exhibitions — on things like folk art, on the presentation of human forms in native art, and recently on primitive influences in the work of Picasso. Quai Branly also has a tranquil patio where you can take a break and enjoy a drink or a light lunch. 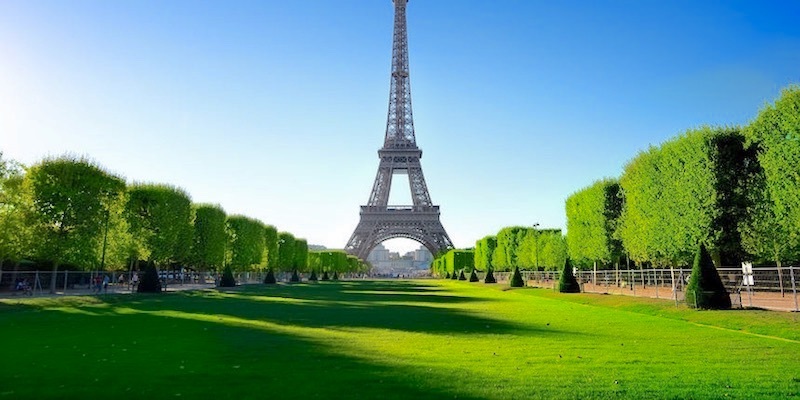 Last but certainly not least is the most recognized symbols of Paris, the enduring Eiffel Tower. Let's set the scene — the year is 1889 and the world is high on science. Think about the achievements that decade produced — the first automobiles, the telephone, electric lighting, and the cherry on top, the Eiffel Tower. If you recall your French history, the tower was built to commemorate the centennial of the French Revolution and to be the centerpiece of the 1889 International Expo. It was the tallest tower in the world (and stayed that way until 1930 when the Chrysler Building was erected in New York). 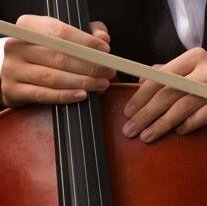 It's purpose? To excite our imaginations and to dream of the possibilities. As we've said elsewhere, the Eiffel Tower is today the most visited monument in the world. And that translates into long lines. We don't like standing in line for hours on end, and you don't need to. 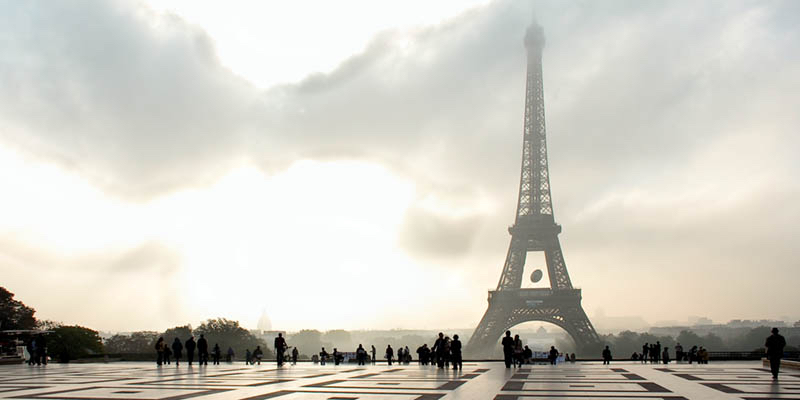 One of our top pieces of advice is to sign up for a skip-the-line Eiffel Tower tour. This gets you to the top tout de suite. This is one of the best activities we've ever done at the Eiffel Tower. It's all priority-access, skip-the-line, and a bunch of fun. 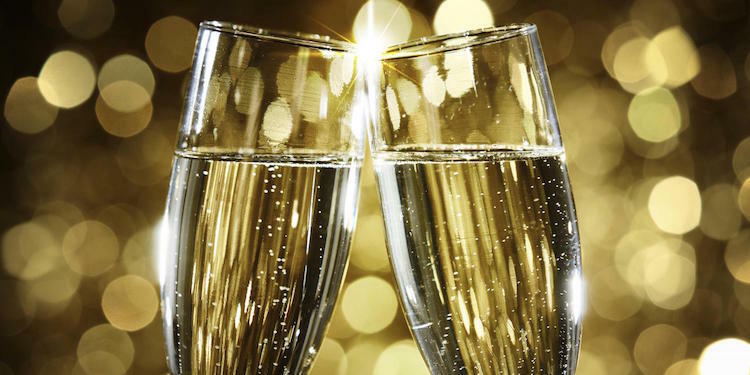 First off, your guide leads you past the line onto a bateau for a nighttime illuminations Seine River Cruise you get a new perspective of the City of Light… while sipping champagne. After the cruise you again skip lines, but this time it's the long lines at the Eiffel Tower, to take the elevator up, where you see the lights of Paris spread out beneath you. 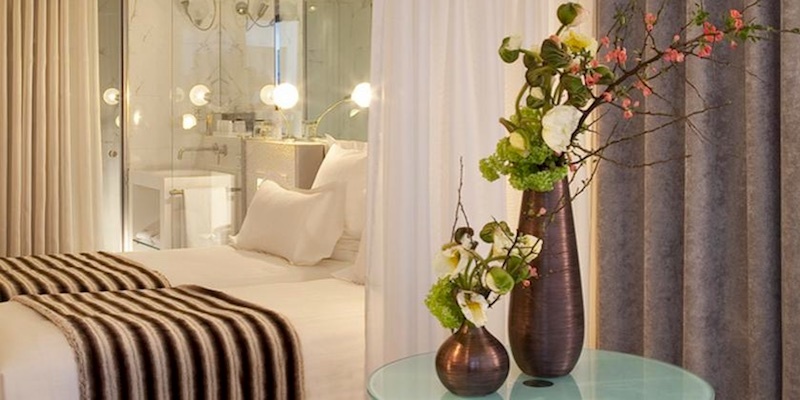 Our first hotel of choice in the 7th Arrondissement is this Art Deco luxury hotel with a modern twist. 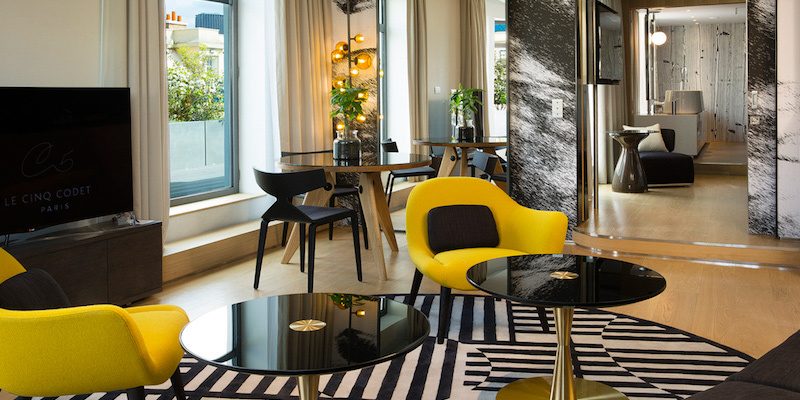 The most-definitely Art Deco building started life as a France Telecom building but, in 2014, was completed restored and renovated into a chic hotel. Look down the street from one of the balconies and it feels as if you could reach out and touch the dome of Les Invalides. What's also refreshing about Le Cinq Codet is that it's not owned by a hotel chain, but by local couple who had a vision — and we love that vision. "Adorable gem in a fabulous neighborhood!" one traveler gushed, and we concur. There's a lot to like about this well designed and nicely located hotel. How about a rooftop patio to enjoy a glass of wine? 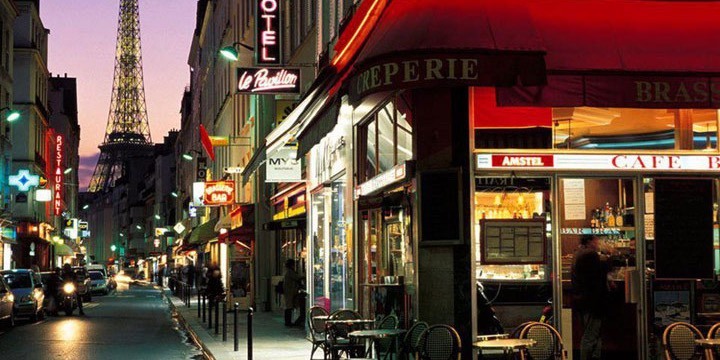 Best of all, you're just minutes away from the Eiffel Tower, Les Invalides, and Rue St-Dominque..
Close to Rue St-Dominque, a street filled with bistros and boutiques; the Eiffel Tower; and the amazing food street, Rue Cler. 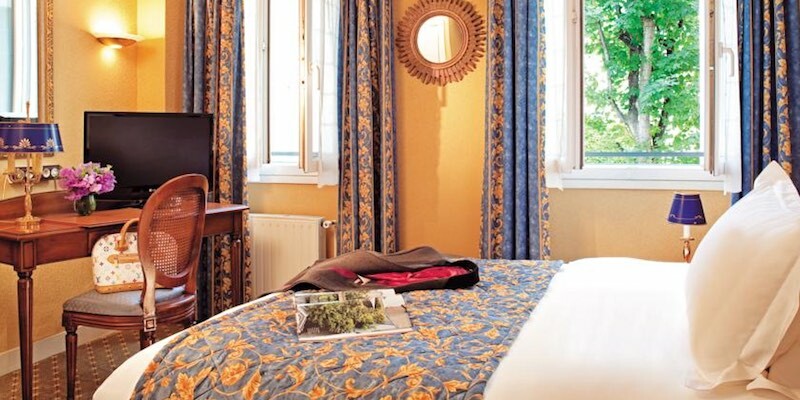 Hotel de Varenne is set in a quiet courtyard. As a visitor wrote, "Lovely little hotel in a great location." 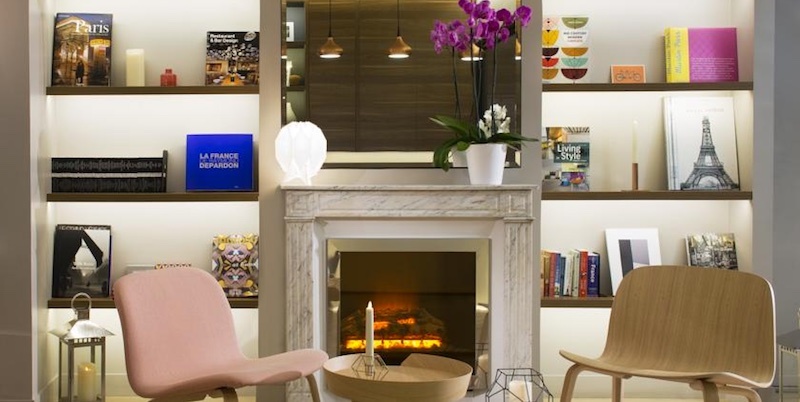 Have a look at our curated list of the hotels in the 7th Arrondissement that get the highest marks from visitors, reviewers, and us. All of them are good enough to receive our highest ratings — from "Superb" and "Superb Plus!". Included is a hotel on our favorite food market street, Rue Cler. Metro Lines. 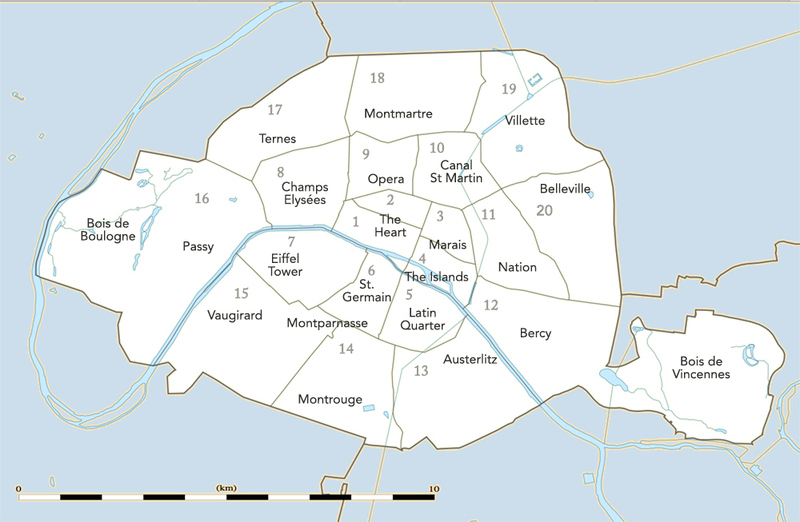 Serving the center of the arrondissement (think Invalides) is Line 13 running north and south. 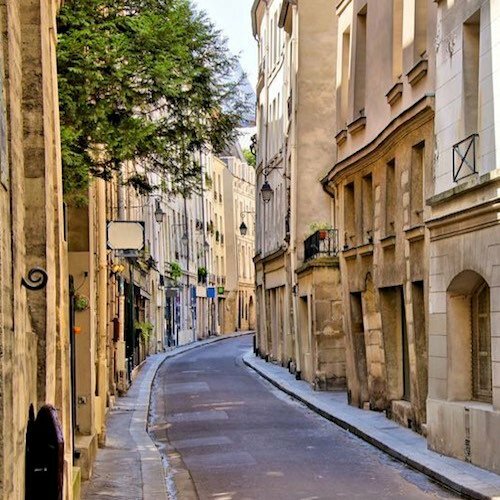 The older part of the quartier, between the Eiffel Tower and Invalides, was left largely untouched during the massive renovations of Paris in the 19th century. One result is that this area, which wasn't dug up for new boulevards, is something of a black hole for Metro stations. Line 8 runs along its eastern edge, and RER C runs long the river, but for most of the neighborhood it's buses and walking.